Welcome to ‘Peony Paradise’, the online home of Adelman Peony Gardens! We grow a large collection of peonies covering about twenty-five acres near Salem, Oregon, in the beautiful Willamette Valley. 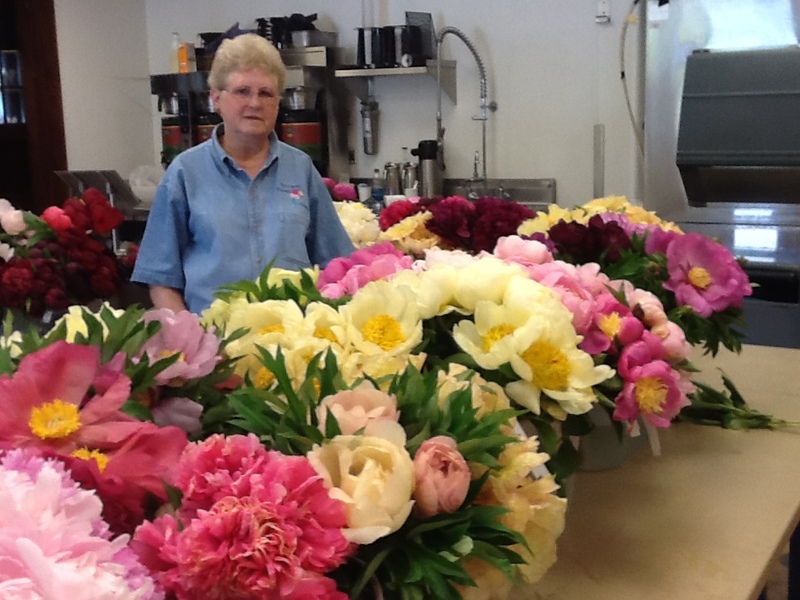 We grow more than 500 different varieties of peonies in our fields. We are Jim & Carol Adelman and we live in the farm community of Brooks, just north of Salem, Oregon. We raised our 5 children on this farm growing crops such as peppermint, peaches, hazelnuts, and grass for seed, with our main crop for 25 years being apples. We also custom harvested tree fruits, sweet cherries, pie cherries, prunes, and hazelnuts for other farmers. We have evolved over the years and in 1993 planted our first peonies as a crop. Our goal was to give a customer experience not previously available for peony-lovers: provide big blocks of color with grass walkways so guests could really experience the growing habits and lovely flowers of the peony. Our nursery is open to the public, during bloom time every spring for visitors. We ship bare root peonies to customers around the world in the Fall. Jim and I (Carol) oversee the entire company. We are the "owls" of the operation, passing on our knowledge of peonies to the next two generations. Our son, Steve is the operations manager. His daughter, Kady manages the retail sales and office. 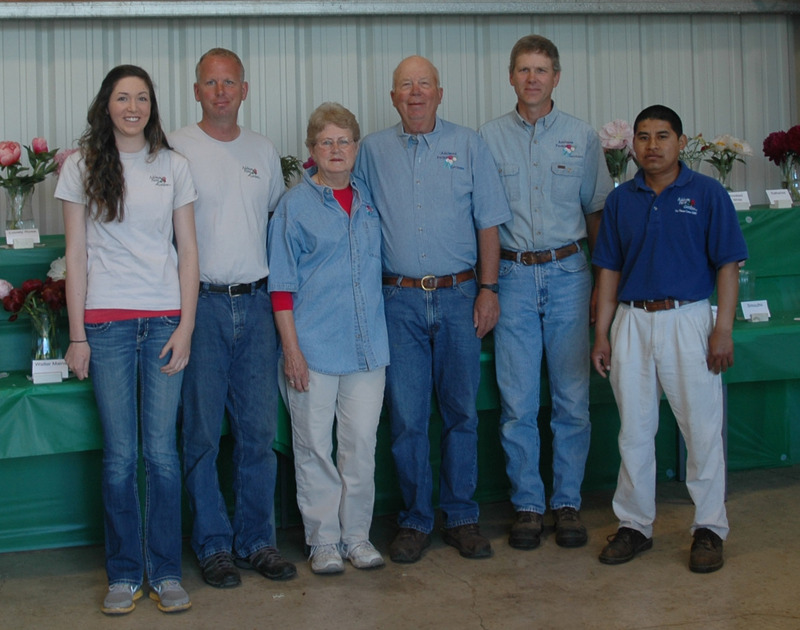 Together we strive to provide our customers with the highest quality peonies available. 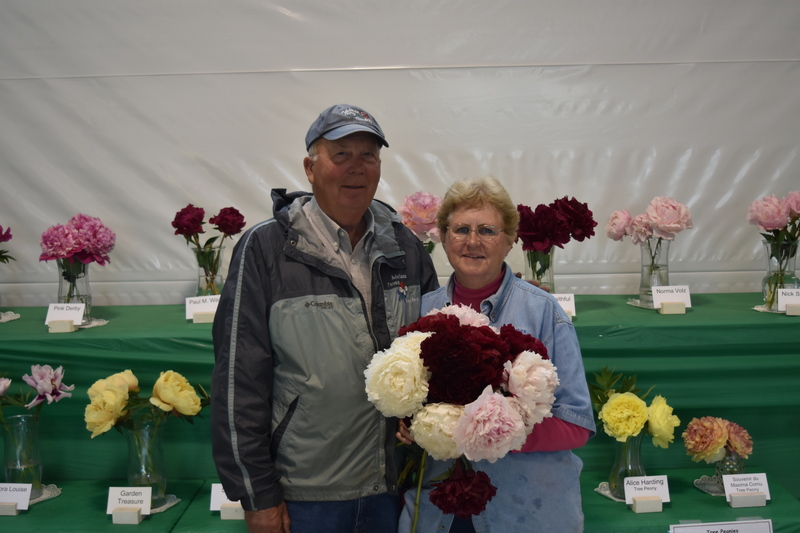 The American Peony Society sponsors a judged flower show annually. Adelman Peony Gardens has been awarded ‘Best of Show’ for 9 of the last 15 years. Our Best of Show Winners: 2003- Coral Charm, 2004- Garden Treasure, 2005- Garden Treasure, 2006- Coral Charm, 2008- Brother Chuck, 2009- Stellar Charm, 2012- Hephestos, 2013- Boreas, 2017- Hephestos. This year the American Peony Society Convention is being held in Portland, Oregon - which is essentaially a home convention for us. We will be showing our peony flowers in Portland at the end of May and invite you all to come visit the flower show. Adelman flowers are spectacular! We enjoy sharing God’s exquisite creation, the peony, with you.